Michael Jordan is the undisputed king of sports in the modern era. But not only is he the best, he’s also the richest. The 56-year-old basketball superstar turned businessman recently clocked in an estimated net worth of $1.7 billion. Let’s retrace his past beginning from his Chicago Bulls days up to now and see how he built and spends his jaw-dropping fortune. 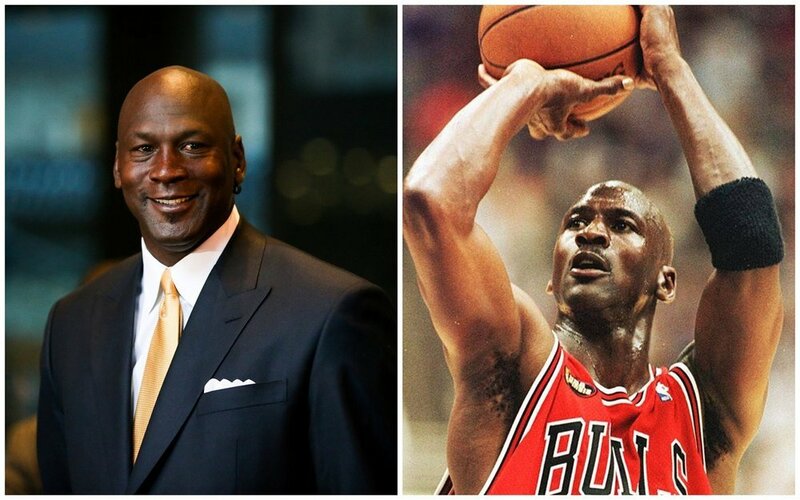 In his 15 years of playing professional basketball, Jordan earned a total of $90 million in salaries alone. 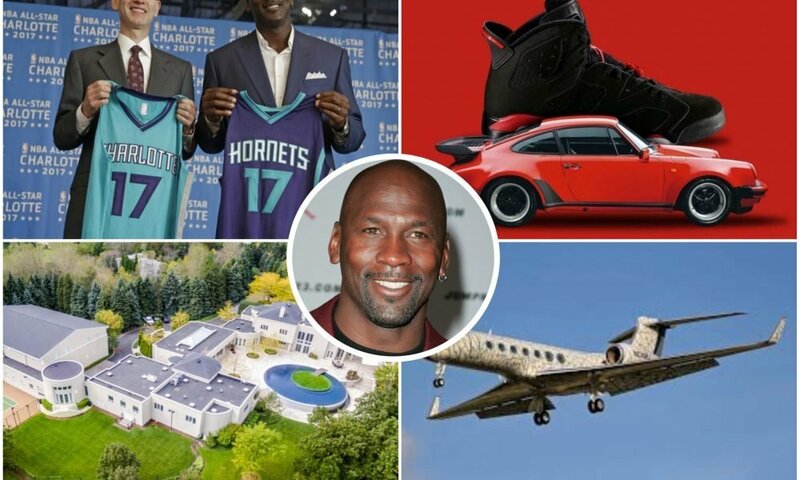 While he definitely earned big playing professional basketball, Jordan made the bulk of his billions from selling his own sports merch and buying his own team. His venture into the profitable world of sportswear started when he signed a deal with Nike to produce the now iconic shoe line Air Jordan. Together, Jordan and Nike have cornered about 90% of America’s entire shoe market. Proving his love for the sport that made him famous, the former athlete bought major stakes for another NBA team, the Charlotte Hornets. This decision would prove to be a wise one in the end as the rising value of NBA franchises led to a $420 million increase in his fortune. His stake in the team, of which he owns 90% of, is now estimated to be at around $1.1 billion. Jordan stepping out of his Chevrolet Corvette ZR1. The car is one of his cheapest ones but it holds sentimental value as it was one of his big purchases after making it big. When you’ve built an almost $2 billion fortune, you earn the right to spoil yourself and spend it. Like the other rich and famous, Jordan likes to collect luxury cars. In fact, he’s been known to change the cars in his main collection quite often. There aren’t exact numbers on the total number of cars the former athlete has owned but his 15-car garage is a good indicator of how many he has right now. Some of the vehicles Jordan has owned over the years include the likes of the Aston Martin DB7 Volante. The high-performance car was quite special as its exterior color was designed by the manufacturer just for him. He also drives a Mercedes Benz CL 65 another powerful car like the Aston Martin. Plenty of gearheads have observed that Jordan prefers to buy faster cars as opposed to going for the most expensive ones. Other cars he owned include the Porsche 911, 930, 964 and 993 editions as well as a couple of Ferraris. And not to be outdone by other billionaires, Jordan currently also has his own private jet. A look inside Jordan’s former homes one of which has its own indoor basketball court. The number 23 on the gate is an homage to his jersey number. It’s safe to say that Jordan has learned how to both grow and enjoy his wealth. Further proof is his Florida mansion which he spent $12.8 million on. The 13,000-square-foot home was considered to be Jordan’s “dream home” until it was auctioned off in 2014. After which he upgraded to a more lavish mansion in Chicago which allegedly costs around $29 million. He, later on, sold the property as well. He most likely resides in the meantime in Charlotte where he bought a $2.8 million lakefront home to be near his basketball team.